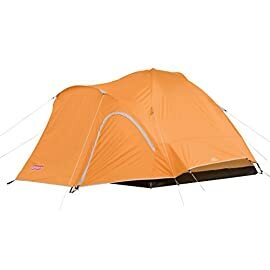 Big Agnes Flying Diamond 6 tent is stronger, more stable, and now in a new color. With more square footage than one Big Agnes staffer’s Steamboat apartment, the Flying Diamond series of shelters are much more than standard tents. They are Everest base camp dining rooms, buttoned up Black Rock City roosts, and Vedauwoo wind refuges. The Flying Diamond series is our biggest base camping design. Try one as an all-season, two-room condo with plenty of space to stretch out and relax, or as a place to serve pancakes to the entire family. Big Agnes Flying Diamond 6 tent your home away from home. This is the iconic flying diamond six person tent by Big Agnes. This tent hasseen it all from crazy backyard camp outs to epic road trips to Everest base camp. 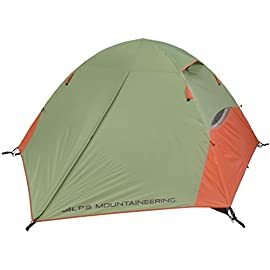 It’s built as a three season plus tent meaning that it can hold up to harsh high country winds snow and perhaps the roughest of all your kids despite its strength. Enough ventilation and versatility for family. The flying diamond six has enough ventilation and versatility for family camping in fair weather too. Set up is really easy with a tent this big. You’re going to want a buddy helping you lay it out first and familiarize yourself with the different poles. 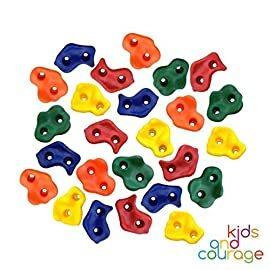 They’re color-coded red light gray and dark gray to go along with the sleeves and colored webbing route the poles through the corresponding sleeves insert the ends into the grommets and secure the clips. 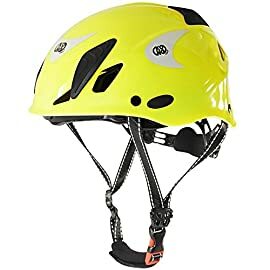 The rainfly is also color-coded, throw it over top fasten all the velcro strips to be sure the fly is centered then attach the clips stake out the guylines and cinch everything down. Tight the dome shape the many guy out points and the small mesh to fabric ratio make the flying diamond almost like a four season tent when everything is all battened down. It’ll keep out cold winds but if it’s hot and humid you can expose the mesh doors open all the vents and open both vestibules to let a cross Breeze in. Front vestibule is larger than the back. 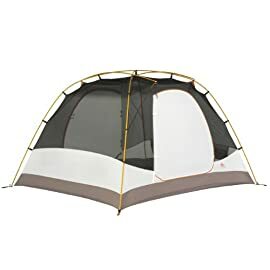 The front vestibule is larger than the back and it can be configured in a few different ways prop it up and hang out underneath in your camp chair. 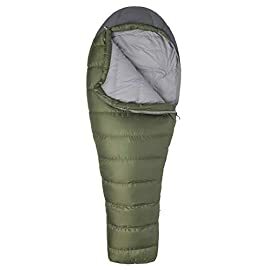 You can also roll it all the way back or zip it closed inside there’s plenty of space to sleep six so cram the whole family in there. If you have six adults you might want to stagger the sleeping bags. There’s a space to change and privacy it with the center zippered door or you can just play peekaboo with it when you’re waiting out a storm. 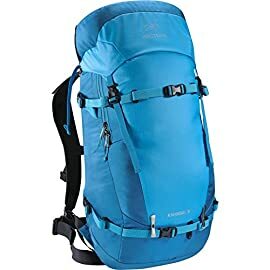 The numerous pockets inside create a cozy home base there’s all different sizes so your gear is organized and up off the floor. If those aren’t enough gear lofts can be purchased separately and hung from the loops inside of course the entire phayam floor are taped sealed to keep out that rain. It is recommended purchasing the custom-fit footprint to give extra protection to your floor. 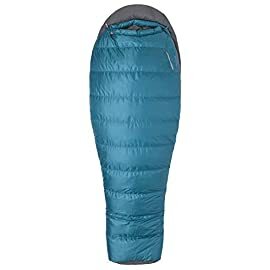 The stuff sack is super cool it has pockets that separate the rain fly and tent body. The poles have their own pocket and the stakes are stored in a mesh zippered pocket too. Big Agnes even gives you a pole splint for field repairs with all the features and reliability. The Big Agnes flying diamond 6 is truly your home away from home. Big Agnes Flying Diamond tent stronger, more stable, and now in a new color. With more square footage than one Big Agnes staffer’s Steamboat apartment, the Big agnes Flying Diamond 6 tent is much more than a standard family tent. It’s made for basecamp and more. Packaged Weight:20 lbs. 6 oz. Big Agnes Flying Diamond 6 tent is stronger, more stable, and now in a new color. The Flying Diamond tents series of shelters are much more than standard tents. They are still the Everest base camp dining rooms, buttoned up Black Rock City roosts and Vedauwoo wind refuges. The Big Agnes Flying Diamond series is Big Agnes’ biggest base camping design. Try one as an all-season answer to camping in any kind of conditions. Storm flaps on vestibule zipper. Color coded webbing and buckles make set up easy. 6 fly vents. Velcro tabs connect fly to pole structure providing perfect pitch and extra stability. Ready to pitch; with pre-cut guy lines and tensioners attached to fly. Reflective guylines and reflective webbing. Easy grip zipper pulls. Fly is polyester taffeta and floor is polyester. Fly and floor have 1500mm waterproof polyurethane coating. Tent body is polyester, polyester taffeta and nylon mesh. All seams taped with waterproof, solvent-free polyurethane tape (No PVC or VOC’s). DAC pole system with press fit connectors. Plastic clips and sleeves attach tent body to pole frame. Color coded pole ends, webbing and buckles make set up easy. 16 interior mesh pockets & 20 lightweight aluminum hook stakes. Gear loft loops included. Briefcase style carry bag with shoulder straps and organizational pockets (6P&8P). Footprint – sold separately. Fast Fly setup not available. Fits Trapezoid gear lofts – sold separately. Tent body is breathable polyester and polyester mesh. All seams taped with waterproof, solvent-free polyurethane tape (No PVC or VOC’s). DAC pole system with press fit connectors. Plastic clips and sleeves attach tent body to pole frame. 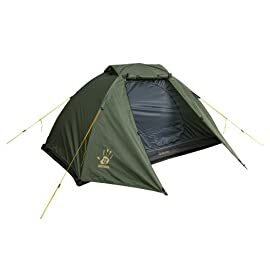 This tent and this company are awesome. I use it twice a year for the last 6 years for “Mancation”. We go in the Fall and in the Spring, shoot guns, chop wood, cook, and drink beer. 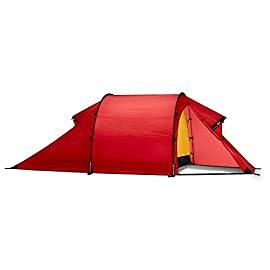 I wanted a tent that could hold up to super wet weather, and windy driving snow. We have camped in 5″ of rain over a weekend, and this tent has held up to 11 degrees with a foot of snow. With a Little Buddy heater, you can hold 3 guys and all the gear at 45 degrees inside easy. Just break the ice off the tent to get out in the morning. One year the dog ripped the screen on the door, and I thought I was done. BA told me to cover shipping it to Colorado, and they would fix and return at no cost. They did exactly that, what a freaking awesome company!! This thing is still going strong today, and has been battle tested out in the muck!! These people that claim zipper problems must be wrong. My zipper have lasted many a late night intoxicated bathroom trips! I’ve had this tent for several years and, like others, have had issues with the zipper on what is otherwise a very good tent. Big Agnes, being the great company that they are, decided to send me a brand new tent free of charge in light of all the problems i have had with the zipper. The tent has a new design with a much better zipper, amoungst other improvements. 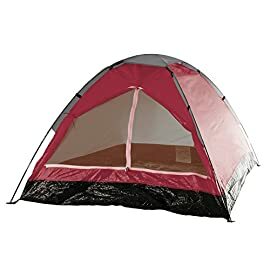 While i just got the new tent, and have only had a chance to test it in the back yard, I am confident i won’t have the same issues i had with old zipper. 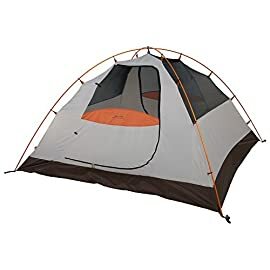 Aside from the zipper, the tent has been great, stands up well to the wind, doesn’t leak, and the kids love the extra room. When we were looking for a family tent that was affordable and could be used all year, the selections were limited. Finally, we found the Big Agnes Flying Diamond. 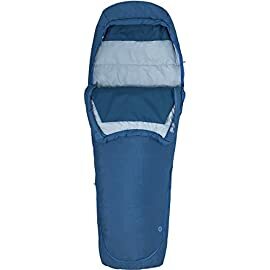 My husband wanted me to go camping but I told him only if I was comfortable. This tent is roomy and cozy. I love the pockets and multiple convenient loops to hang lamps. There is ample space for my daughter when she joins us. This tent has made me a believer in the comforts of tent camping. Great car camping tent that stands up to the elements! We got this tent for car camping with two humans and two dogs. It is great! 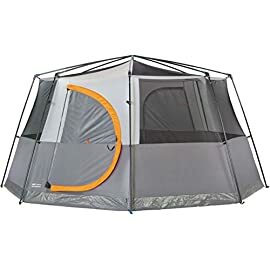 We found it super roomie in comparison to other 6-person tents and love that we know it will hold up to the elements. 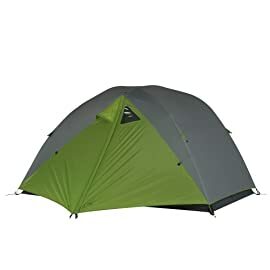 This tent also stood up to some crazy 30mph winds like a champ on one of our trips. At one point we had 8 people in the tent playing card games and it still didn’t feel cramped. We’ve had this tent for a couple of seasons now and super happy.